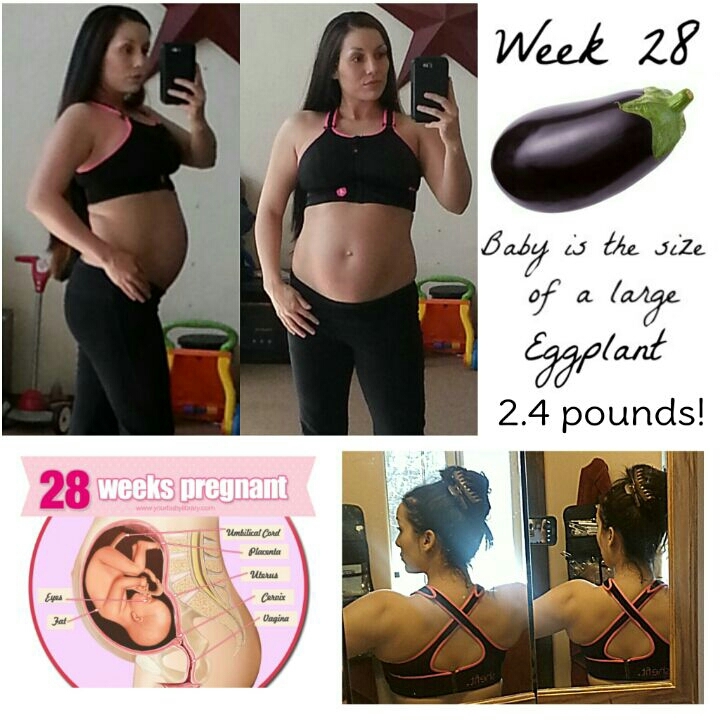 Baby is the size of an Eggplant! His current weight is approximately 2.4lbs! Maternity Clothes? Nope not yet! Workouts? 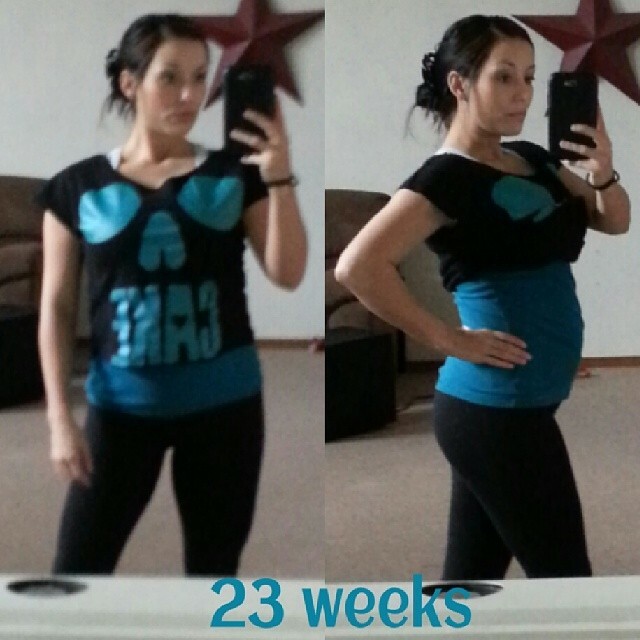 None lately, in previous weeks I posted about how I was getting contractions after workouts. So I slowed down. Now I am getting contractions regardless of working out 😦 so I’m really taking it easy. I want this baby to bake as long as he can! This has been a struggle for me, physically, mentally and emotionally. I wanted so badly to exercise this entire pregnancy. I was in a routine of working out and I miss the energy boost I’d get and the endorphins. 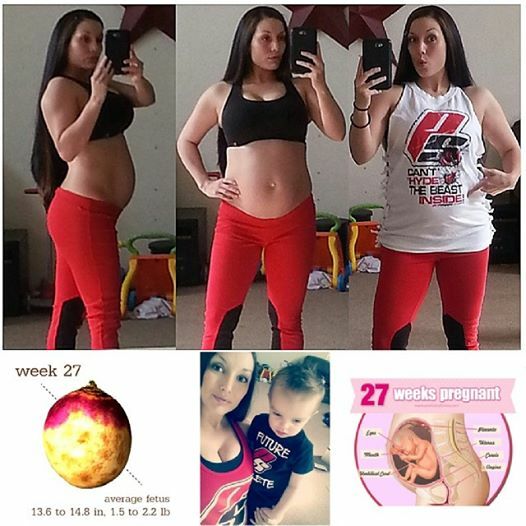 I see posts with other “fit moms” lifting heavy while pregnant and weeks away from delivery. But I know it’s more important for me to go full term and deliver a healthy baby. I’m playing it safe and sticking to stretching, yoga movements, and my normal daily activities (running our gym, training clients, and chasing a toddler around lol). I telling myself I have 12 weeks left. That is nothing compared to a lifetime. I’ll have forever to workout after my little guy gets here! 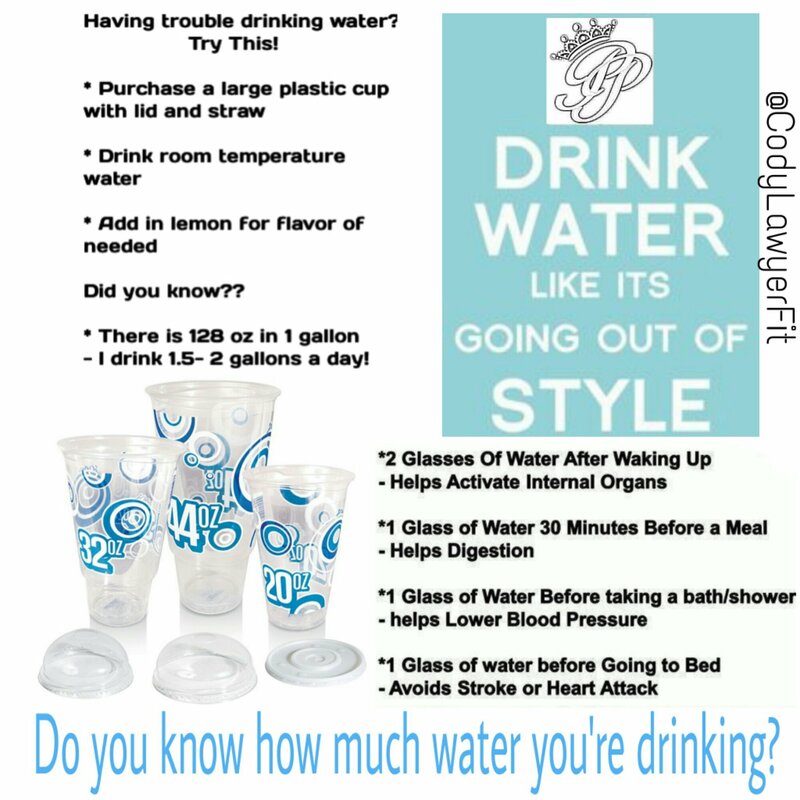 Below are a few facts/tips to help you drink more! 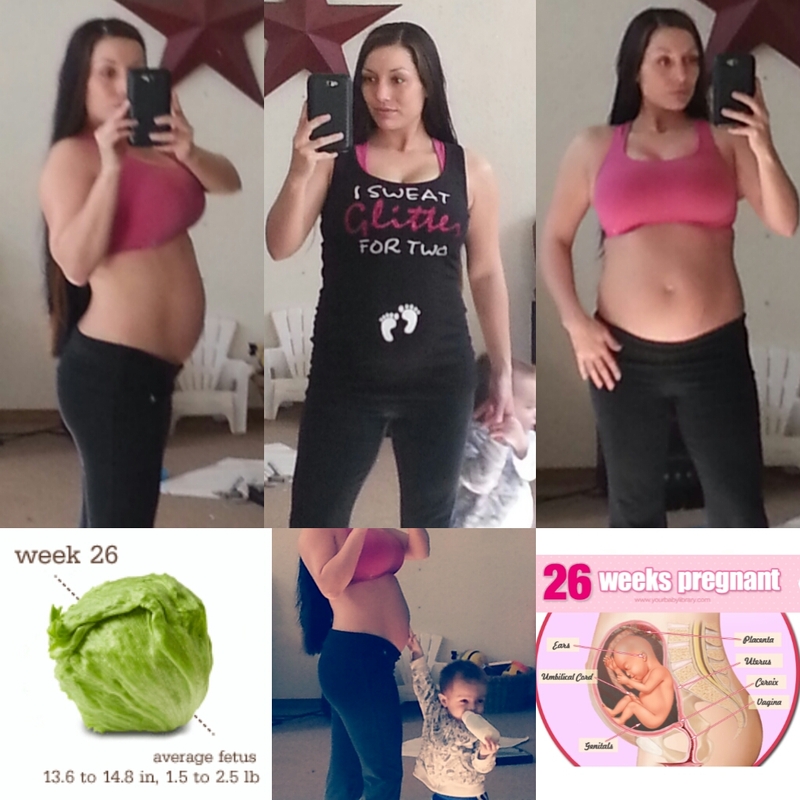 27 weeks pregnant! After my last Dr appointment I go every 2 weeks now! Gender: Boy!!! Baby is the size of a rutabega! His Rate last appointment was 142! Workouts? Honestly my workouts lately have been training clients and running my gym. I know it’s an excuse but I get “crampy” towards the end of the day and being high risk it’s not worth it. I’ve been feeling great lately. I think my body is getting use to no sleep. Baby boy is VERY active I love feeling his little kicks even at3 :00 am lol! I only wish I had a longer torso, being 5’1″ isn’t ideal for carrying a baby. Tired, tired oh and did I say tired? Other than being super exhausted because of night time insomnia I’m great! My hips have really been crack-a-lakin’ lately so I feel like an old lady lol! Doing great! Baby boy is growing at lightning speed and I feel him move all day long! My appetite has been decreasing a bit probably due to my stomach being smashed lol. AND on a very positive note my insomnia is getting a little better… now I wake up at 4am instead of 1am. That’s progress! My doctor did say this is very common with pregnant women he suggested taking Benadryl or Tylenol PM. I am slowly getting back into working out. I stopped Dec 17th because I was getting contractions afterwards. I have been doing light weight with 20-30 reps. And lots of bodyweight movements. So far so good! Also I make sure I have a gallon of water in before I even think of working out!! Even slight dehydration can cause contractions.